An easy to make, decadent, delicious recipe that is the perfect way to start your day. We’ve created a vanilla flavored creamer as well as a cocoa peppermint creamer. 1 Rodelle Vanilla Bean, split and scraped. Bean pod will be used so don’t discard it. In a small saucepan over medium-low heat, heat the Rodelle Gourmet Vanilla Extract for one minute. Add the agave nectar. Slowly whisk in the half and half. Add the scraped Rodelle vanilla seeds, whisk, then add the bean pod and simmer until just bubbling along the edges. Remove from heat, let cool slightly, and then transfer to a container with a lid. Refrigerate. In a small saucepan over medium-low heat, heat the Rodelle Gourmet Vanilla Extract for one minute. Add the agave nectar and Rodelle Gourmet Baking Cocoa, whisking to make a paste. Add the peppermint extract, whisk and simmer until just bubbling along the edges. 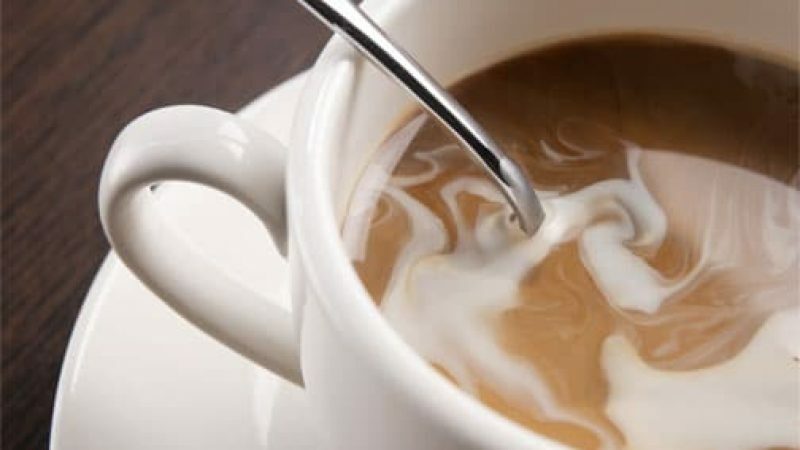 Use 1 cup of Half and Half and ½ cup of condensed milk. Add the half and half per instructions, simmer, then add the peppermint and condensed milk. Whisk and simmer until just bubbling along the edges. This method will be sweeter, so you may want to reduce the agave nectar by 1 tablespoon.